​​​ HOUSTON – Sidley Austin LLP recently signed a long-term lease renewal that expands the law firm’s office by 60 percent. 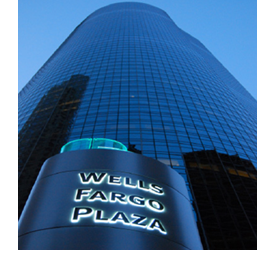 The firm opened a Houston office in early 2012 and has occupied nearly 50,000 sf in Wells Fargo Plaza, at 1000 Louisiana St., since early 2013. With the renewal and expansion, the firm will have a total of 80,000 sf. Sidley’s expansion includes the 59th-floor “sky lobby,” which features double-height ceilings and gives the firm a new entry to its office. The firm is also planning an office redesign, according to the press release.